The largest collection of Frank Lloyd Wright buildings in the world is located in Lakeland, Florida at Florida Southern College’s “Child of the Sun”. It is a must see for any Wright fan. 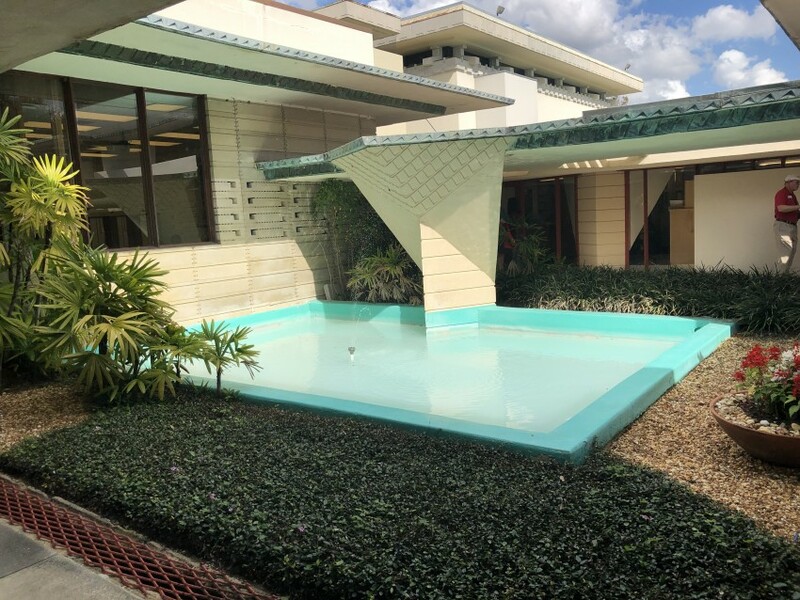 Frank Lloyd Wright’s Child of the Sun vision is at the Florida Southern College. It was 1938 and the world was still reeling from the Great Depression. 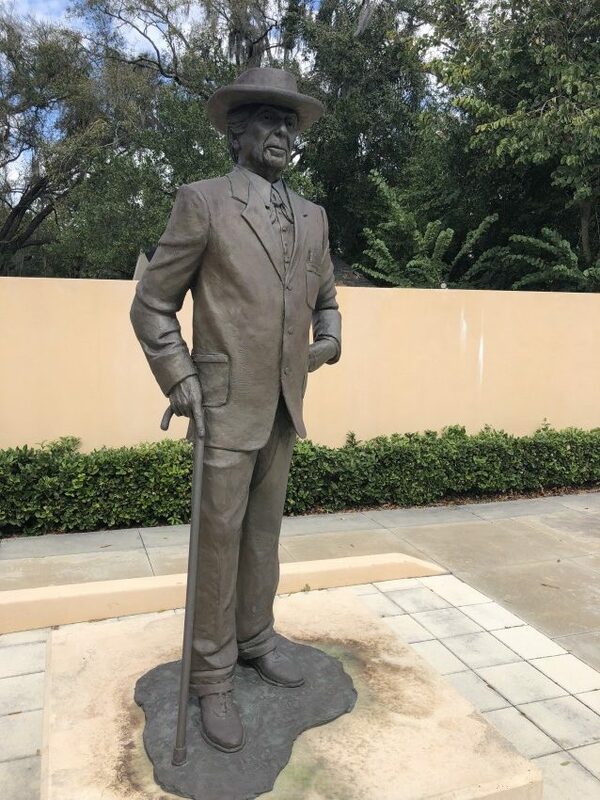 Dr. Ludd Spivey, President of Florida Southern College had a vision for expansion of Florida Southern College. This small southern college overlooked Lake Hollingsworth. The campus was comprised of brick buildings and was and surrounded by orange groves. Dr. Ludd Spivey had a vision. He wanted his college to be the first truly “American” college unlike the other the ivy-laden halls. Dr. Spivey wanted an American aesthetic that he felt only Frank Lloyd Wright, could achieve. Two things were in place, for this to work, Wright with the ideas, and the college with a place for the buildings, there was only one problem. Dr. Spivey explained they had no money. However, he promised Wright if he designed the buildings, he would raise the money. With Wright’s prominent name, he was able to do this despite the dire economic times. Two huge donors, the Ordway family (that invented Scotch Tape) and the Danforth family (Ralston Purina) came up with a large amount of initial funding. Besides the buildings, another aspect of the tour you will enjoy is Esplanades or covered walkways that are over a mile in length. The Esplanades are said to suggest the orange trees that were originally on campus. There is also the Water Dome, which is the largest water feature Wright ever designed. It symbolizes the fountain of knowledge and is 160 feet in diameter. 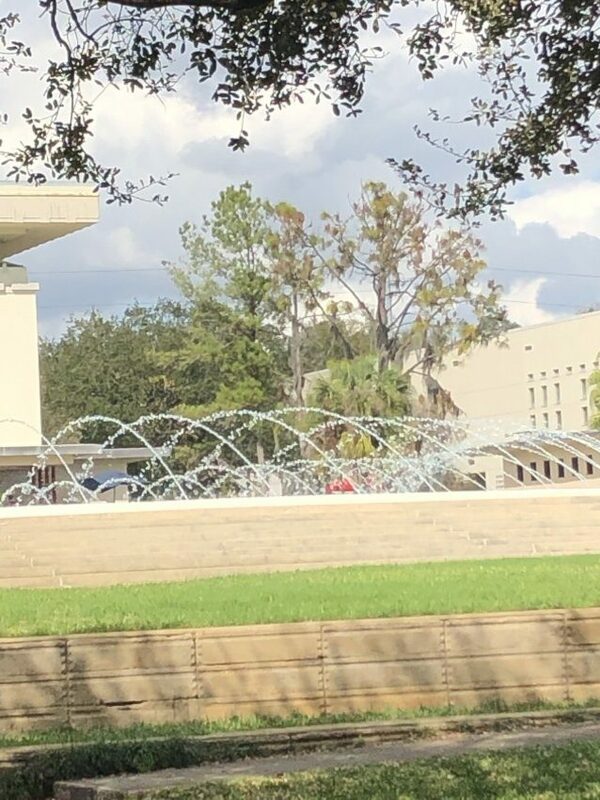 Although the water can propel as high as 45 feet, they keep it at lower rates to conserve water and the dome runs at intervals throughout the day. The water serves as not only a lovely setting, but also as a backup water supply in case of fire. An interesting aspect of Wrights buildings at the college is that college students were offered a chance for free tuition and the opportunity to learn a trade. By helping build Frank Lloyd Wright buildings students gained an education and work experience at the same time. Much of the furniture that was on campus was built by students. I won’t go into the details of the lovely buildings you will see during the tours. Some are open completely while others are not to preserve the privacy of an active school, but the tour is wonderful and a great opportunity to see at least for me, a different type of Wright architecture, his organic architecture where he used locally sourced materials. 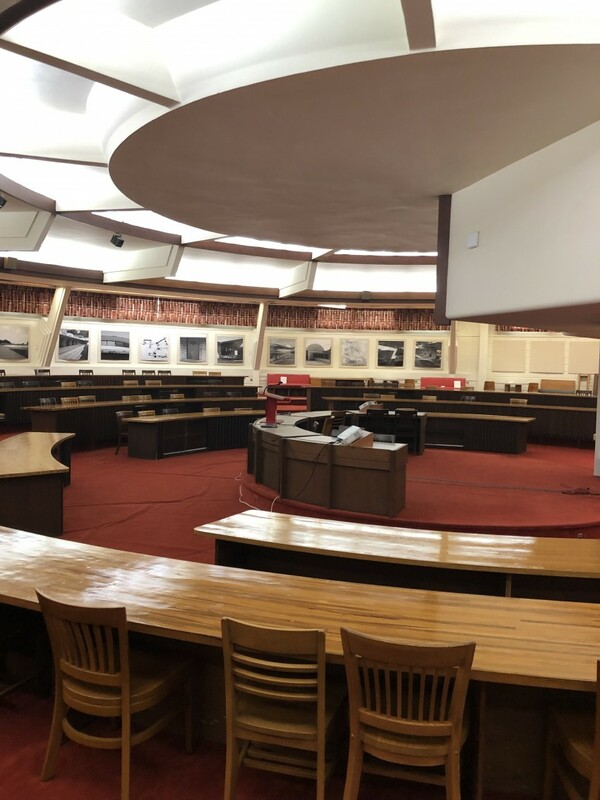 If you love Wright architecture, this is the tour for you. Frank was a fascinating man and this is a story like no other. The Florida Southern College Geico Visitor’s Center is located at is located at 750 Frank Lloyd Wright Way, Lakeland, Florida. You can call 863-680-4597 for more info. The tour is not handicap accessible. The buildings and steps are trip hazards so take care. Parking can be tricky, there are not many spots. Make reservations for your tour, spots fill up quickly. It is Florida, bring a hat and sun screen. Wear walking shoes, they don’t take breaks and there are only a few places to sit during the tour. Do bring a camera or phone for pictures, they are allowed. Be aware you are on a campus and that certain areas will be restricted. Enjoy the talent of this eclectic architect who didn’t begin building this collection until he was 70. Immerse yourself in this collection! Note: This was a hosted tour and tickets were provided by Florida Southern College to the five of us that took the tour. All reviews are mine and unbiased. This article was a guest post from Cindy Ladage, All photos are owned and were taken by Cindy, as well. Cindy is a freelance writer and blogger (Traveling Adventures of a Farm Girl) from Central Illinois. She is married to a farmer and has three grown children and two grandchildren. Cindy loves to cover out-of-the-way places and hope you will join along on her journey.